Aeroplan is running their transfer bonuses again; this occurs every few months, with the last one was in August. The promotion runs between November 7 and December 12. This applies for transfer to Aeroplan, from various hotel partners including Starwood and Marriott. Co-branded cards and other transferrable programs are not included, so if you’ve picked up a TD Aeroplan Visa Infinite recently, this transfer bonus unfortunately doesn’t apply to you. The promotion allows you to earn a bonus starting at 20% and maxing out at 30%. Most hotel programs do not transfer at favourable ratios to airlines, so the only partners worth considering (in my opinion) are Starwood and Marriott. The good thing is that in Canada, you can easily pick up the Starwood American Express, Starwood Business AMEX, and the Chase Marriott Visa for quite a few points after meeting the minimum requirements. 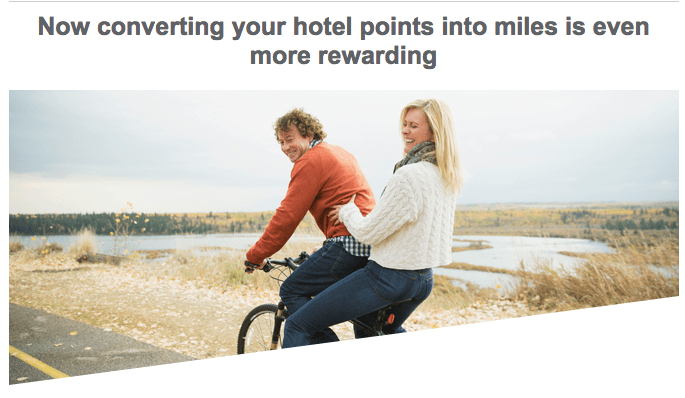 The transfer promotion would give you an additional 30% bonus, meaning you’ll end up with a total of 260,000 miles. That’s a final transfer ratio of 1:1.625, which is an insane deal if you have plenty of SPG. 260,000 Aeroplan is enough for two roundtrip tickets in business class to Europe, making the cost for each person only 80,000 SPG. It’s also enough to get you a round-trip in First Class to Europe, a good value especially if you combine it with a capped fuel surcharge trick. Great article and thank you for the heads-up! I’ve been looking everywhere for a link to do this, but can’t seem to find a live link to exchange SPG to aeroplan. Any ideas on where/how to actually do this? Thanks! The transfer can be done online at SPG. Here’s the direct link to the travel redemptions: https://www.starwoodhotels.com/preferredguest/account/starpoints/redeem/travel.html. 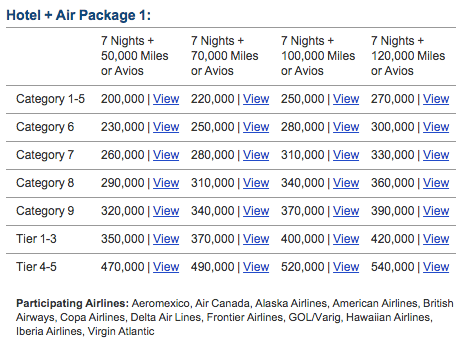 Under “Sky’s the Limit”, you can transfer starpoints to airline miles there. the transfer bonus to Aeroplan is automatic. Matter of fact, partner transfers don’t count for the next status, according to aeroplan. I’m planning on getting the travel package with Marriott, I will receive 120 K aeroplan, plus 30K bonus, but it won’t count for achieving the diamond status.